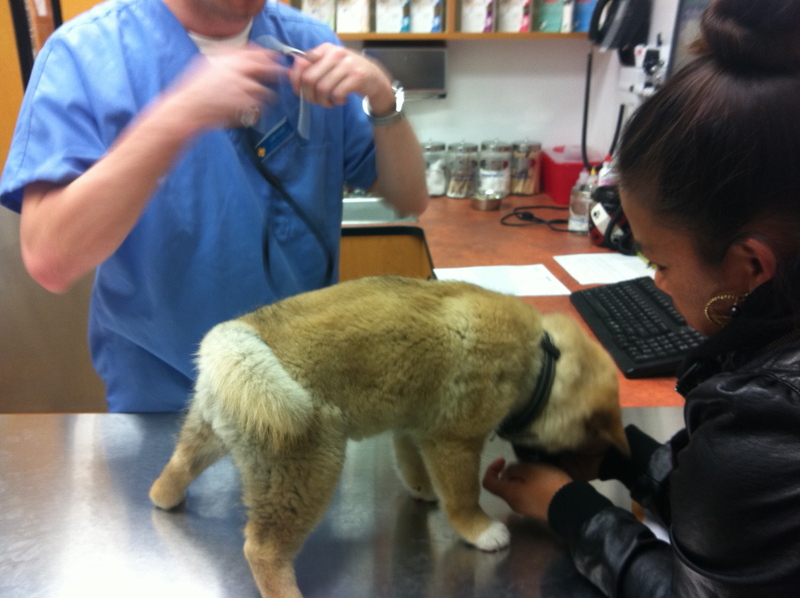 On Sunday Kuma had his first vet visit. He passed with flying colors. :-). He was very good about being handled by the vet. Kuma seems to be able to keep his composure in any situation. Except when he is excited to see one of us that is :-). 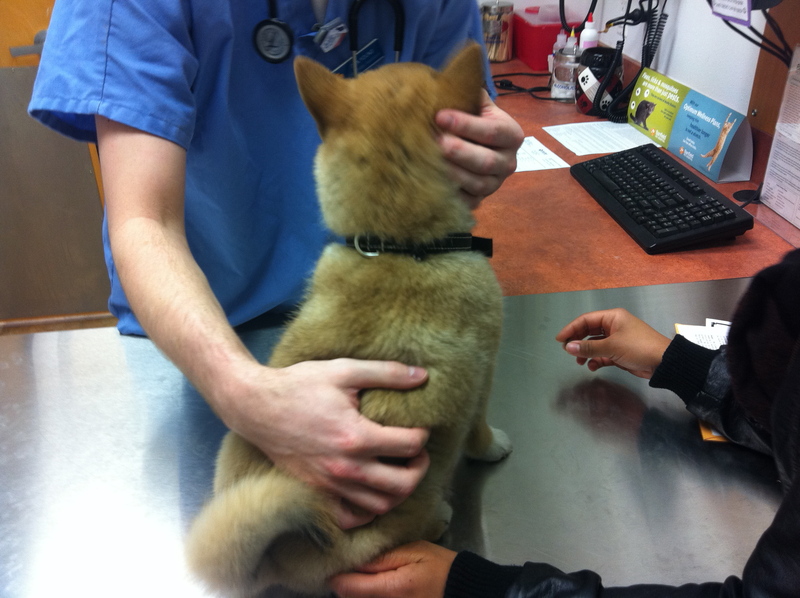 Kuma Says: Your health is your wealth!